Seven years after the Judgment virus, also known as the EVO virus, infected the planet, a portion of the Earth's population of humans has died while another portion received powers and abilities. Superhumans now walk the Earth. Some use their abilities for good, taking up the mantel of heroes, while others become villains. The rest join and form superhuman military units within their respective countries, building toward another possible Cold War. 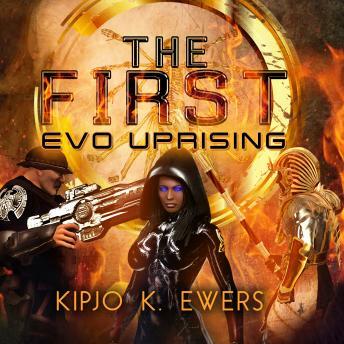 Sophia Dennison, the first and most powerful superhuman on the planet, who inadvertently changed the world, is unable to fit in with the race she was once a part of and unwilling to embrace the race she created. Living a life of semi-isolation, she uses her power and abilities to help people as she sees fit, taking no mantle. However, a new threat to the planet will force her to not only confront several spectrums of her past but ultimately her destiny.